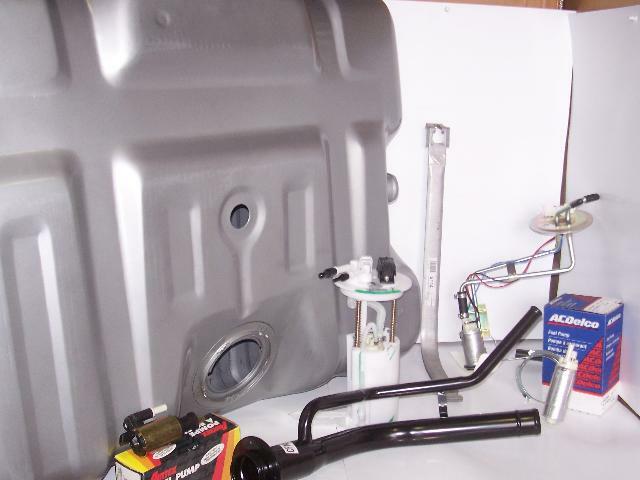 At The Tank Bank we carry an extensive stock of new and rust free southern parts - including Gas Tanks, Sending Units, Fuel Pumps, Pump Modules, Tank Straps, Filler Necks, and Radiators. 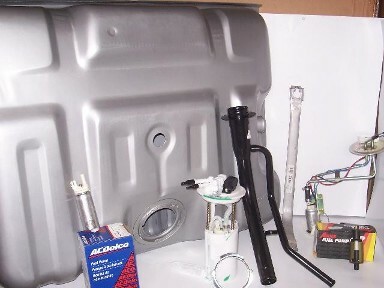 We also stock Loaded Struts and can order A/C Condensers. Open 6 days a week for your shopping convenience: Monday-Friday 8AM-5PM and Saturday 8AM-12 noon. Call us at 585-265-0820 or toll-free at 1-800-248-1180 or come see us at 141 State Route 104 in Union Hill, NY. We offer free delivery to local areas; free shipping on all Filler Necks in the Continental US (orders are usually shipped same day and guaranteed shipped Priority Mail).